G.R.A, “Government Reserved or Residential Area” is a suburb in the city of Enugu, it is located in Enugu north local government area of Enugu state. 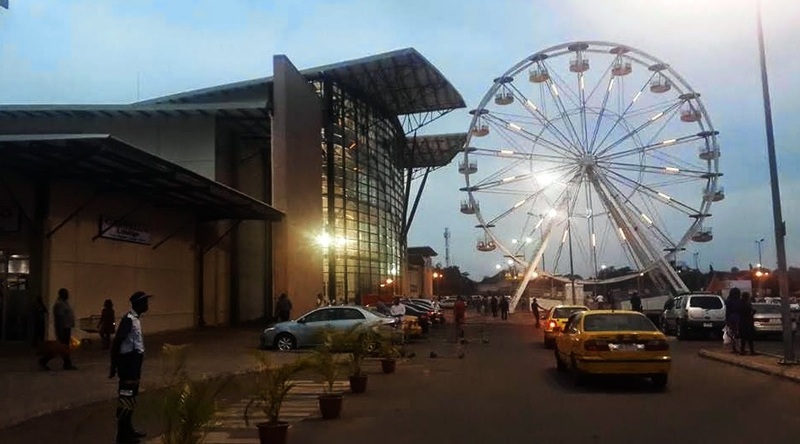 GRA is the center of activity as it is strategically located in the center of the city and houses, the state secretariat, three out of the four major radio stations in the state, most of the hangout spots and banks in the city including the central Bank. First of all, welcome to my neighborhood and welcome to my city. I just feel like sharing with your reader what life is like here in Enugu especially in GRA. Enugu as most of you know is a state in southeastern Nigeria and its capital is Enugu, Enugu is popularly or most times refereed as Coal City or 042. I can’t say am a traveler but i have visited few places in Nigeria but none of those places felt like home and i don’t know why. the longest i have stayed outside Enugu was three weeks and that was when i visited Abuja. i have sometimes wondered why i dont feel too comfortable when ever i travel outside Enugu, i dont know if it its because i was born here or because of the easy life we live here in Enugu especially for those that reside in GRA. I am more particular about GRA because this is where i was born and everything i have done were centered in and around here. Aside from the fact that we have constant light, water and good road which might be one of the things that could make someone want to change his or her location, i have traveled and stayed in places that has constant light even more constant than what we have here, none stop water and a very good road network. let me take you guys around my neighborhood to know if my feeling about this place if justifiable but before then. I was born in park lane general hospital, now ESUT teaching hospital parklane Enugu, this hospital is just one or two minutes drive from my house, my house is basically facing the hospital but the main entrance to the hospital is not that close, all my schooling were all in enugu and precisely here in GRA except my senior secondary school which wasn’t in GRA but very close to GRA. After my secondary school i gained admission to study med lab in Esut and guess what? I was brought back to GRA my neighborhood, where ESUT teaching hospital is located. GRA is like the center of Enugu, i might be wrong but thats the way i see it, for someone who resides in Enugu, any part of Enugu at all, be it New Haven, Independence Layout, Maryland, Trans Ekulu, or Emene you can never get most of the things you need in your locality but in the case of GRA, you can get close to 98 percent of everything you need here. GRA Enugu is connected by two major roads and lots of connecting and internal roads. The Enugu Abakaliki road and Enugu Onitsha express road are the two major road connecting GRA to other part of the city and outside the state. You can drive round GRA with either a cab drop or a tricycle, although you can get a bus that drives through GRA on their way to other part of the city but can only drop you at a bus stop along the road. To go inside, you can only trek if your destination is close to your bus stop or take a drop to where you are going to. Although GRA doesnt have as much number of hotels as places like New haven and Independence layout, but there are few number of hotel around GRA that visitor can lodge in and feel at home. Some of these hotels include Victoria Garden, Grace Cut Hotel, City Light Villa, Gorgic Hotels, Lotanna Souia Guest house, Standard Hotel, Golf Le Meridiem, Brifina Guest house, The Edge Guest house, Top Ten International Hotel, Bourgeon Hills Hotel, Golden Garden Suites, De Angelo Hotel, The castle resorts, Nugget Suites, Nugget Suites, Medway Luxury hotels And Suites, Dorons GATE Guest house, Apple Lodge Resort, Silicon Valley Resort, Aegeyi Grande Express. Enugu is home to popular Igbo dishes and these dishes can be found in most restaurants or street food vendors along park lane and polo park. As long as you are in GRA you dont have to worry about food because not only are the foods within your reach, they are also affordable. Aside the street food vendors who mostly sell local dishes, here are some of the restaurants you can go and enjoy both local and continental dishes. Mama Onyinye restaurant, Celebrities, Kilimanjaro Restaurant, Dolphin Restaurant, Culture Arcade Restaurant, Full Time Restaurant, Golden Bowl Nigeria, Roots Restaurant & Cafe. Most of the hangout spot and major hangout spot in Enugu are located here in GRA. These park and garden are places both family and friends can gather for any form of activity like relaxation, recreational for shopping. these places include, Polo park Mall, New Berries Park, Brifina Garden, Magic Garden, Enugu Sports Club and Enugu State Golf Club. Here in GRA we have one of the oldest secondary and primary schools, Two major Government medical centers, and two popular worship center for both the Catholics and the Anglicans. For those who wish to start a family or relocate to the city, here are some schools in GRA. “Secondary” Government Technical College GTC Enugu, Government secondary School GSS Enugu, Graceland Private School, Magnet Schools. “Primary” Ekulu Primary School, Chiazo Nursery/Primary School, First Parkview Montessori School, Childbase International Nursery And Primary School, Royal Orchard First School, Graceland Private School, Seeds Of Greatness School. “Tertiary Institution” Enugu State College of Education Technical. “Places of worship” Christ the King Catholic Church, Capuchin Friars, All Saints Anglican Church, Redeemed Christian Church of God, Winners Chapel, Holy Spirit Parish, St Aloysius Catholic Church, Nike Ave Carmlite Church and others. Hospitals, ESUT Teaching Hospital Parklane Enugu and Enugu State Medical Diagnostic Centre. For security we have Abakaliki Road police station, Public Complaint Rapid Response Unit PCRRU, Ebeano Tunnel Police post. Places you can shop include, polo shopping mall, Chase Mall and few more. Housing estates in GRA include, Coal City Garden Estate, Zoo Estate, Golf estate, Fidelity Estate. GRA is one of the places in coal city that would make you feel at home with a social life that is so exciting. Enugu has been argued to be one the most beautifully planned cities in Nigeria but GRA is arguable the most serene, the most secure, the most beautiful and the most planned part of Enugu, well, i know most people will argue this but that’s just the fact. Saying Goodbye To GRA Via Ebeano Tunnel. What a nice city you have here! I like how everything is so close to your home. Its important to feel comfortable in your hometown! Thank you so much for sharing about your home! I don’t know much about Africa and haven’t heard of Enugu before. This was really cool to see what life looks like. It seems more suburban than I would have thought. And that food looked incredible! I personally love places that look to hold a piece of story inside them. There is so much drama in all your pics that I felt like I am on the trip of this place. I really feell like I got to know Enugu by reading your post. I would love to travel around Africa and especially Nigeria, looks fantastic! I know what you mean about feeling at home in the place you grew up. I was born in London but I live in Spain, whenever I go back it feels sooo natural! What a fun town to travel! With great food near by can’t go wrong with that. Local museums and music that’s the best! Wow what an awesome inside look! Thanks for showing me a place I might have otherwise not seen! Love learning about new places and the people who live there! WOW…I loved hearing your story and taking a walk through your hometown. I have never been to Africa. So interesting to see! I am from New York City in the US…so it’s a world of difference. Its a beautiful city and loved the ferris wheel shot. I loved learning about Enugu! There is so much beauty, history, and culture shared through your writing and pictures. Thank you! Looks like a quite little town that I would like very much because I don’t loud cities. I might have to go visit it soon. This is such an interesting depiction of the city ! Many of us will never have a chance to experience it, so it’s great to read about it from your perspective. I haven’t heard of enugu before but looks beautiful and peaceful. You’ve described it nicely. A place worth visiting. While reading this it kinda reminded me of home, Botswana. A lot of the infrastructure is the same and also very serene. I haven’t been to Nigeria but I’d like to one day. I’ve never heard of this place before but it looks like a fun place to discover! Thanks for sharing! I’ve never heard of Enugu but it looks interesting! Thanks for opening up my eyes! Your town looks so neat, I have never actually heard of it before. The food looks delicious! I would love to explore this city! I think it’s great that you love your home city! Some people can’t wait to leave. It definitely looks like a cool place to grow up! What a lovely place! Seems like there’s so much to see and do! I really enjoyed this tour through your hometown!! I’ve been bitten by the travel bug and when I’m not traveling this is the next best thing to be able to get a feel for places through blogs! Wow! Very informative post. I never really thought of visiting but I do see photos and hear of experiences that are awesome. Maybe I’d visit someday , Kenya or Tanzania first though! This looks like a small town where people would know each other very well. I would love to visit a place like this, they are usually very cultural with very nice people! How beautiful. I’ve never been but would love to travel there someday! Love the first hand look! Wow thanks for sharing, a big difference from the states. Looks like a close knit community which is amazing! Would love to explore! I have never been to Nigeria but it looks lovely there. Especially at night. And the good looks amazing. Great description of the city. Sounds like a place I’d like to visit. I’ve never been to Nigeria but it sounds like a very vibrant city with lots going on! Great photos! Never even heard of this! Would LOVE to visit at some point, its gorgeous! I love the photo with all of the taxis I have never seen so many in one place, except for maybe New York City! Thank you for sharing your home with us, it was great to escape for a bit to Nigeria and experience your world. I have never visited Africa but your hometown sounds absolutely wonderful. Your photographs are absolutely beautiful. I’d love to visit Africa some day. Thanks for sharing the details of your city. It looks great! Thank you so much for sharing these information. This place looks so interesting. Thanks for sharing. Enugu definitely seems like an interesting place to visit. I’ve never been to Africa, but it is the next major continent I want to visit. And given that Nigeria is now the biggest economy in Africa, it certainly is place I must visit some day. Good pictures by the way. This is my first time hearing of Enugu, but it’s nice to learn something new. All the pictures you included were great! Love getting a sneak peek into someone’s hometown and culture. The food looks especially delicious! I’ve never heard of this place so it’s really interesting to learn about it! You captured really interesting aspects of it. It’s amazing how hometowns have a certain place in our hearts that no matter where we travel to we always compare it to. Enugu looks homey. Oh wow, I’ve honestly never heard of this area before. Really enjoyed reading all about it and seeing your photos. Reminds me that there is so much more of the world left for me to explore.